About 43 cars were considered for this prestigious award and the selection procedure was carried out by advisory panel of design experts before the final consideration for the 66 World Car of the Year jury members. Director of design at Jaguar, Ian Callum said that none of the design project has given him more pleasure than working on the F-TYPE. He further added that this is the project he has been looking forward to, since he joined Jaguar. He also said that it is the one project that has given a great satisfaction to him and his team. The F-TYPE represents true design value of Jaguar, purity of form, beauty of line. He also added that he felt quite honored that jury has chosen to recognize their work and consider them for this prestigious award. The advisory panel speaking on the F-TYPE said that, the long wheelbase, short overhangs and flared fenders provides a better stance to this car. The contour in the plan view tapered towards the door concentrates on the muscular rear fender that also houses the driven wheels. The exterior of the car, represents the Jaguar’s elegance in terms of horizontal proportions and rounded surfaces, yet giving it a more dynamic look. But panel said that the interior is quite attractive. The cabin is clearly driver oriented and grip bar for the passenger has been nicely embedded with the big central console. The designs of the seats are also pleasant. The award was collected by the Global Brand Director of Jaguar, Adrian Hallmark at the New York International Auto Show. Speaking on the occasion he said that the F-TYPE is the first full blood Jaguar sports car to be launched for more than 50 years. He also said that the architecture and technology used in the car are at the par and vehicle has been wrapped with the progressive design that can only be a Jaguar. It is dynamic and refined as any Jaguar car and it also proposes unique proposition and price perspective. These features have clearly made an impact on the juries and quite honored to receive this award. 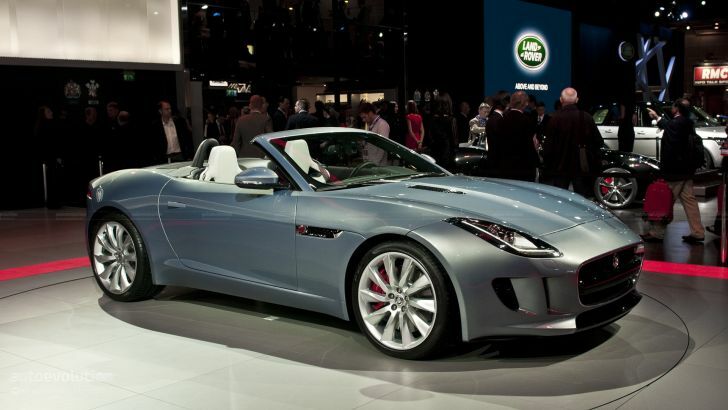 The new F-TYPE is really a superb car which will carry the Jaguar legacy further.